Shannon In Nashville is a perfectly packed 38 minutes of music. A lush and well studied production that translates into a great fun listen throughout. 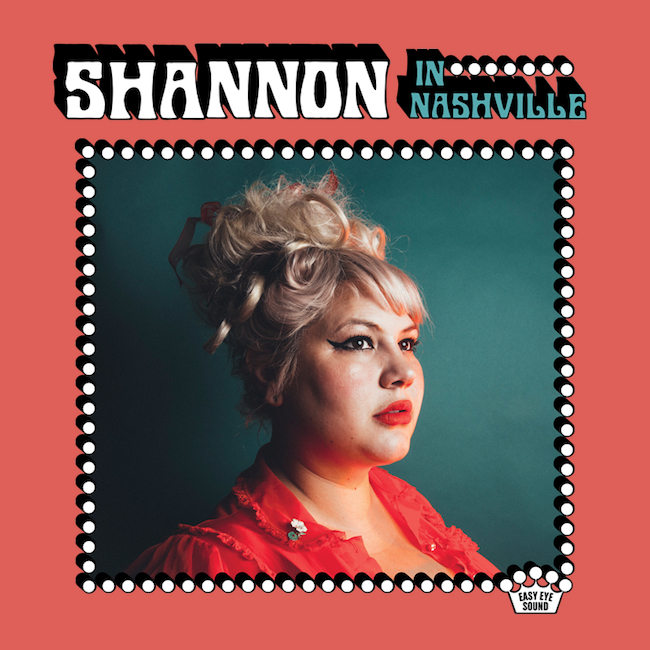 Singer Shannon Shaw’s first solo effort follows close on the heels of her band’s (Shannon and the Clams) most recent release and is also produced by Dan Auerbach of The Black Keys. Auerbach ensconces Shannon’s voice in an ornate melange of 50’s-60’s Top 40 tropes and the songs follow the radio hit blueprint of 2:30 – 3 minute maximum. Like those hits of the past these tunes pack a load of textured arrangement into their tidy time allotments. Shaw is up to the challenge of the Dusty In Memphis inference and shines above the genre accurate layers of strings, background vocals, vibrato guitars and cavernous reverb. In fact – title aside – the album exudes more of a West Coast Wrecking Crew vibe than a Nashville Cats experience. Fans of the neo-retro sound of Chris Isaak will be right at home in the midst of languid minor key noir like “Bring Her the Mirror,” “Broke My Own” and “Goodbye Summer.” The Mavericks come to mind on the Mex-inflected “Leather, Metal and Still,” while “Cold Pillow” finds Shannon in Theresa Brewer territory.